Growing an Experience | CREATIVE RETAIL PACKAGING, INC.
CRP recently had the opportunity to partner with Houston chef and co-founder Baron Doke in the rebranding of Tiny's No. 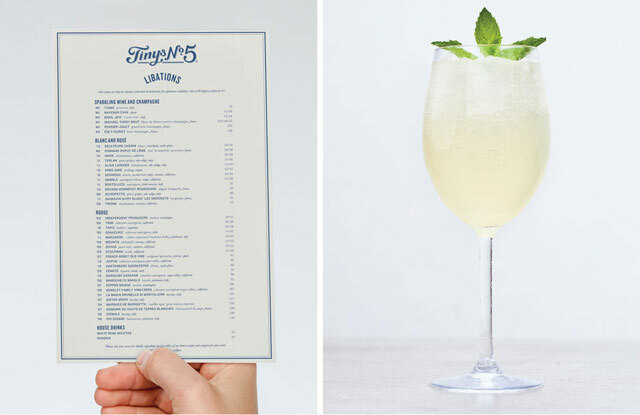 5, an offshoot of Houston's renowned Tiny Boxwoods. Known for their exceptional service, charming ambiance, meticulously curated dishes, and – best of all – their chocolate chip cookies, Tinys No. 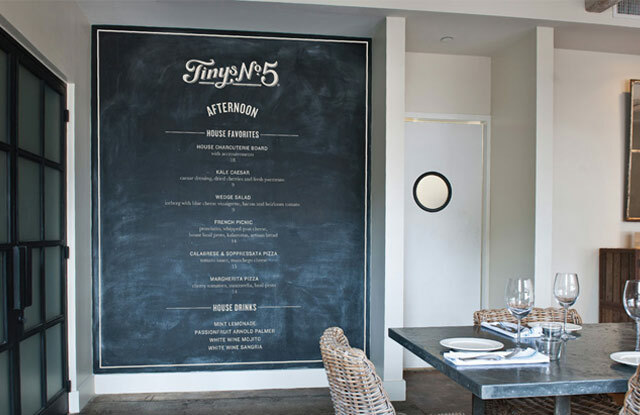 5 is a delightful destination for families and foodies alike. Baron's vision for the brand was to successfully expand the Tiny Boxwoods experience beyond its flagship location in Houston's affluent River Oaks neighborhood. Tinys No. 5 is nestled in Houston's West University neighborhood, whose primary residents are young families with strong ties to the local community. In opening his second location, Baron aimed to maintain the core brand promise of Tiny Boxwoods, while integrating the unique qualities of West U. In order to achieve this goal, CRP helped Baron identify and articulate the points of parity and differentiation of each location, which in turn led to a strategic framework for future expansion. CRP is honored to have helped Baron achieve his vision for Tinys No. 5 by providing a growth strategy that maintains the unforgettable nuances of Tiny Boxwoods. In working alongside the Tinys team, we were able to create a new identity system which includes brand architecture, guidelines, strategic messaging, a landing page on the Tiny Boxwood Productions Website and showcases a handcrafted logo. Here is a sneak peak of the results, but to really get the full experience, we suggest visiting in person and ordering a cookie from the counter. Tiny's No. 5 magazine ad, "Ice Cream + Movies"